Non-small-cell lung cancer usually carries a dismal prognosis. Novel treatment approaches are clearly warranted. Immunotherapy has emerged as a promising area of research developing agents that manipulate the immune system to induce antitumor responses while avoiding major toxicity. New vaccines and checkpoint inhibitors are currently undergoing investigation in phase II and phase III clinical trials. In advanced non-small-cell lung cancer (NSCLC), belagenpumatucel-L, an allogeneic cell vaccine directed against transforming growth factor β in the tumor microenvironment, knocks down the immune suppression caused by the tumor and has demonstrated a dose- and time-dependent efficacy in some subgroups of patients. L-BLP25 and TG4010 are both antigenic vaccines that target mucin 1, whose encoding proto-oncogene is commonly mutated in solid tumors. The L-BLP25 vaccine achieved a significant improvement in overall survival in the subgroup of patients with stage IIIB NSCLC treated with chemoradiotherapy. TG4010 vaccination resulted in better progression-free survival when added to cisplatin–gemcitabine chemotherapy. These results are being addressed in the currently ongoing phase III TIME trial. In the adjuvant setting, MAGE-A3, an antigen-based vaccine, showed promising results in melanoma-associated antigen A3 positive lung cancer patients who underwent resection in the phase II study; however, no improvement in progression-free survival was observed in the phase III MAGRIT study. CIMAVax is a recombinant human epidermal growth factor (EGF) vaccine that induces anti-EGF antibody production and prevents EGF from binding to its receptor. It has improved overall survival in patients with advanced NSCLC who achieve seroconversion. Ipilimumab, an immune checkpoint inhibitor that targets cytotoxic T-lymphocyte antigen 4, demonstrated improved progression-free survival in advanced NSCLC patients who received the drug after chemotherapy in a phased regimen. Finally, anti-programmed death receptor 1 agents have achieved durable response rates in phase I studies. This review gives an overview of the current data and the most promissory immunotherapeutic agents for NSCLC. Rossana Ruiz and Brian Hunis declare that they have no conflict of interest. Luis E. Raez has received grants from Merck Serono, GlaxoSmithKline, and Pfizer unrelated to the submitted work. GlaxoSmithKline. GSK1572932A Antigen-Specific Cancer Immunotherapeutic as Adjuvant Therapy in Patients With Non-Small Cell Lung Cancer. In: ClinicalTrials.gov [Internet]. Bethesda (MD): National Library of Medicine (US). 2000. Available from: http://www.clinicaltrials.gov/ct2/show/NCT00480025?term=NCT00480025&rank=1. Accessed 1 May 2014. GlaxoSmithKline. Update on phase III clinical trial of investigational MAGE-A3 antigen-specific cancer immunotherapeutic in non-small cell lung cancer. 2014. Available from: http://www.gsk.com/media/press-releases/2014/update-on-phase-III-clinical-trial-of-investigational-MAGE-A3-antigen-specific-cancer-immunotherapeutic-in-non-small-cell-lung-cancer.html. Accessed 30 Apr 2014. This is a press release announcing the negative results of the phase III multicenter MAGRIT with the MAGE-A3 vaccine. EMD Serono. Tecemotide Following Concurrent Chemo-radiotherapy for Non-small Cell Lung Cancer (START2). In: ClinicalTrials.gov [Internet]. Bethesda (MD): National Library of Medicine (US). 2000. Available from: http://www.clinicaltrials.gov/ct2/show/NCT02049151?term=start2&rank=1. Accessed 1 May 2014. Transgene. 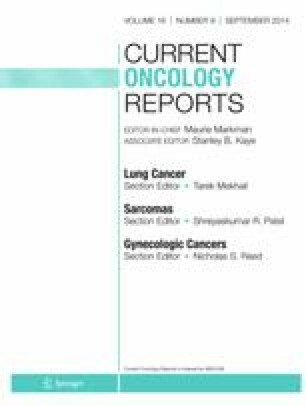 Phase IIB/III Of TG4010 Immunotherapy In Patients With Stage IV Non-Small Cell Lung Cancer (TIME). In: ClinicalTrials.gov [Internet]. Bethesda (MD): National Library of Medicine (US). 2000. Available from http://www.clinicaltrials.gov/ct2/show/NCT01383148?term=tg4010&rank=1. Accessed 2 May 2014. Bristol-Myers Squibb. Trial in Squamous Non Small Cell Lung Cancer Subjects Comparing Ipilimumab Plus Paclitaxel and Carboplatin Versus Placebo Plus Paclitaxel and Carboplatin. In: ClinicalTrials.gov [Internet]. Bethesda (MD): National Library of Medicine (US). 2000 Available from: http://clinicaltrials.gov/show/NCT01285609. Accessed 9 May 2014.